Are you searching for a Graco GX7 Spray foam gun? 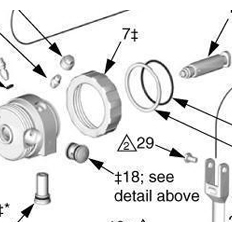 Or looking for a part number for your Graco/Gusmer GX7, but cannot locate it? Having trouble describing and troubleshooting it over the phone or when trying to place a new order? Need a Manual or Brochure for a Graco GX7 spray foam gun? Stop searching, you are in the right place. If you answered yes to any those questions above, this is your destination, our Graco GX7 gun section in our Spray Foam Guns & Parts department. From this page you can view the GX7 manual, see all of the GX7 spray foam gun product pages, and even use our fully interactive GX7 exploded diagram. The GX7 Graco Manual is an extremely detailed, 46 page manual that covers every inch of this spray foam gun. Discover information on every topic, from parts to safety and of course, the Graco warranty. Any and all questions about this amazing Graco product can be answered here using these helpful resources or working with our experienced technical department. If you are looking for a different type of Graco spray foam gun, we would be happy to assist you with that as well. 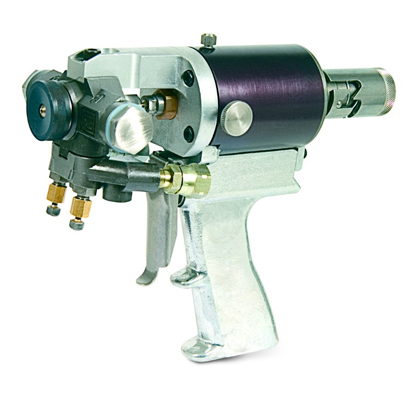 Visit our main Graco page to see the different lines of spray guns we offer, covering paint, coatings, spray foam and more. You may also contact us at any of our six facilities across the US for additional information and any questions about any of Graco’s line of spray guns. As a Graco Top 20 Distributor, the experts at Intech Equipment have all of the essential information and resources to assist you in product selection, modifications, repairs and troubleshooting. Put our history and relationship with Graco to work for your today, by choosing Intech Equipment and Supply as your preferred roofing and Graco equipment provider.